The football season is here with every level on the field from Pop Warner to the NFL and even semi-pro leagues where the players pay to play. The National Football League is quietly keeping a close eye on how things are going on the high school level and if there is a drop off in the number of children participating in games on that level. The league cannot be very happy with the news this August that two high school football teams, one in the Baltimore-Washington area and one in Marin County near San Francisco did not have enough players to field a varsity team. But the good news, at least from 2015-2016 was that 52 high schools added football teams to the curriculum. That piece of news should be heartening to National Football League owners because there are responsible adults at 52 high schools that think football is safe enough for children and probably would agree that football turns boys into men, builds character and shows the need for teamwork. That’s a football mantra. The bad news. Two high school football teams didn’t have enough bodies to field a team and it appears the number of players who took part in high school games in 2016 was less than the number who suited up in 2015. The National Federation of High Schools, which tracks such things as players suiting up for a team released figures that showed a drop off of 26,000 players in 2016 from the 2015 levels. It was the eighth time in the last nine years that there were less teenagers playing high school football. Overall there are more children, male and female athletes, involved with high school sports than ever before. All of these numbers are extremely important to National Football League owners who need players to participate in high school with the best going into college football. That is where the NFL finds players. 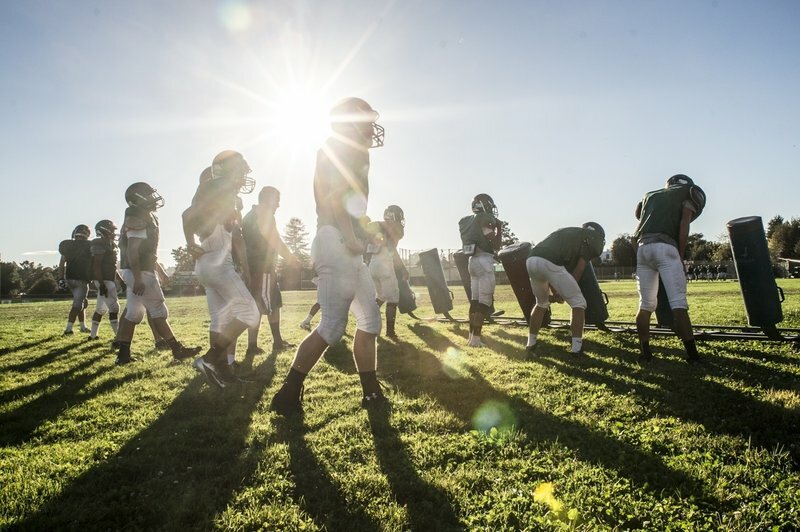 Football remains the most popular high school sport despite the risk of brain damage risk.